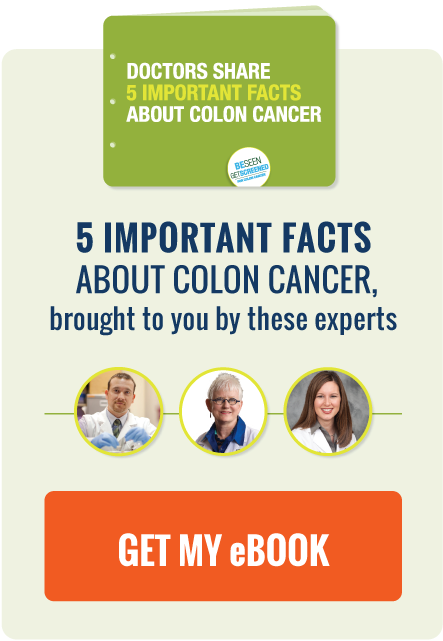 Although colon cancer is often cited as the most preventable cancer, it is still the second leading cause of cancer deaths among men and women in the U.S. This fact might be explained by the CDC's Vital Signs report published last November, which found that 23 million Americans are not getting their recommended colon cancer screening. Why do people avoid lifesaving colon cancer screening? One reason may be the cost. However, our friends at Colon Cancer Alliance, in partnering with the medical device company Boston Scientific, announced a new program designed to remedy this problem by providing wider access to screening for individuals who could not otherwise afford it. The Blue Hope Prevention Award will provide financial support to qualifying individuals in need. Colon Cancer Alliance partners with ColonoscopyAssist, a colon cancer screening program for uninsured patients, to launch this new program. The program began when Randy Cox and Debbie Whitmore, stage IV colon cancer survivors and Colon Cancer Alliance volunteers, shared their stories at a Boston Scientific event last spring. After hearing these stories, the Boston Scientific employees were inspired to lend a hand, and together raised $10,000 by spearheading various events throughout Colon Cancer Awareness Month. Boston Scientific then matched the amount, donating a total of $20,000 to Colon Cancer Alliance to fund the new program. If you are at least 50 years old or at increased risk of colon cancer and in need of financial support for your screening, contact Colon Cancer Alliance's free Helpline at (877) 442-2030 to inquire about the program. As a model payment for health care services shifts, Cigna emphasizes colon cancer prevention. New evidence strengthens the link between certain dietary fats and colon cancer progression. Weather Channel Meteorologist Dr. Greg Forbes was recently diagnosed with colon cancer. However, because the cancer was detected early through a routine screening exam, doctors say his prognosis for a full recovery is good. Gas could be an indicator of a healthy digestive system. Colon cancer could hide in back problems, according to a Taiwanese doctor. Image source: Flickr via The National Guard.